A party of goblins out hunting in the forest might be in for a surprise they hadn't anticipated. 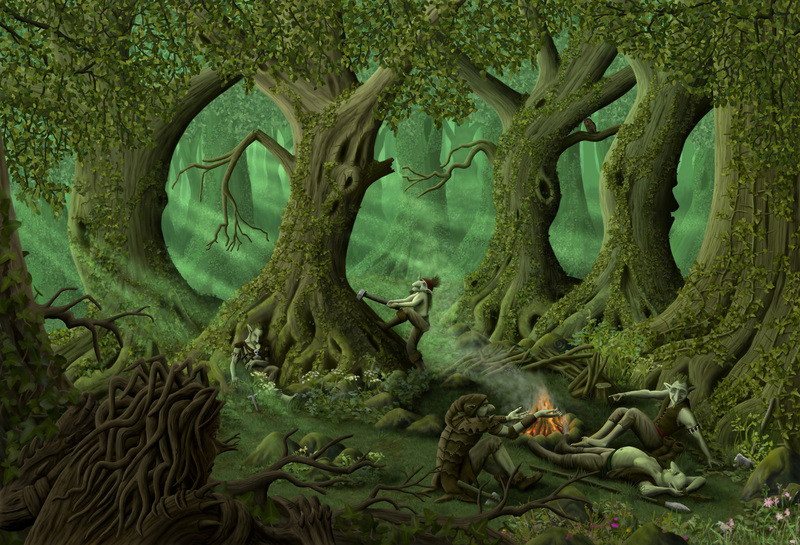 Featuring Goblins, Ents and a Dryad, this image is 100% hand painted in Corel Painter using a Wacom Intuos tablet. I used Painter's acrylic brushes, soft blenders and the image hose (with custom nozzles for some of the foliage). The orginal image is 5700 x 3880 pixels and so is suitable for high resolution printing. Prints of this image are availale at sizes up to A2, printed professionally on archival quality paper for maximum quality and longevity.